Styrenics consumption is estimated to be 35,007 kilotonnes in 2013 and will grow by 4.81% annually till 2018 and will be worth US$108,510 million. The increasing demand of styrenics in Asia Pacific, especially in China, and growth in end-user applications such as construction and automotive industry are key factors driving the global market, says a new report from Market and Markets. Polystyrene (PS) is the major polymer which is largely consumed, followed by Acrylonitrile Butadiene Styrene (ABS) and Expanded Polystyrene (EPS). Properties of PS and EPS make it suitable for a wide variety of applications such as construction, packaging, consumer goods, etc. 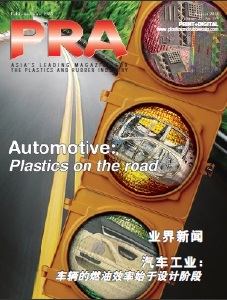 Automotive industry is the major consumer of Styrene Butadiene Rubber (SBR) particularly in tire manufacturing. Unsaturated Polyester Resin (UPR) has its applications in pipes & tanks, marine accessories, wind energy, etc. Asia Pacific is driving the market contributing more than 50% of the global demand. The other drivers include high growth in wind energy applications of UPR and increased SBR demand due to tyre labelling regulations. Due to cost and performance advantages, UPR is widely used in the manufacturing of wind blades, rotors, ventilators, etc., thus ensuring high growth in wind energy applications. Similarly, tyre labelling regulations, being adopted by different countries such as Germany, Japan, etc., has led to an increased SBR demand worldwide, especially in the automobile industry. 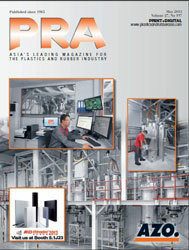 Increasing environmental and health concerns due to usage of styrene and acceptance of other resins as substitute to Unsaturated Polyester Resin (UPR) were identified as major restraints. At present, their impact on the market is relatively high. However, emerging economies and innovations in products will create growth opportunities for styrenics in the near future. Companies producing or planning to produce styrenics in the near future are opting for expansion by introducing new facilities and increase in capacity. The market is a highly diversified market consisting of different types of polymers, each having wide range of applications. Due to this, there are large numbers of players operating in the market engaged in the manufacturing of different styrene-based products for different applications. The report covers the global market in the Asia Pacific, Europe, North America, and Rest of the World under major types of polymers such as Polystyrene (PS), Expanded Polystyrene (EPS), Acrylonitrile Butadiene Styrene (ABS), etc. Market estimations have been provided in terms of consumption volume (kilotons) and market revenue ($million). The styrenics have also been segmented by their respective applications. Major companies such as BASF (Germany), SABIC (Saudi Arabia), Lanxess (Germany), Dow Chemical Company (US), Total (France), etc. have also been profiled in this report.